Crinoids, also known as sea lilies, are ocean creatures that live attached to the sea floor. They have three main body parts: the stem which attaches to the sea floor, the calyx (or head) which contains the mouth parts and internal organs, and the arms which filter the food particles out of the water. 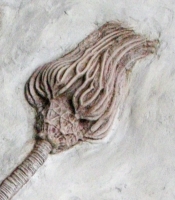 Crinoids are animals despite their plant-like appearance. They belong to the phylum Echinodermata, meaning "spiny skin." Other current day examples of echinoderms are starfish, sea cucumbers, sand dollars, and sea urchins. The original fossils represented by this replica (Platycrinites saffordi, Paracytalocrinus hamitensis, Actinocrinites gibsoni, Meniscocrinus magnitubus, Eretmocrinus granuliferus, Cyathocrinites multibranchiatus (starfish-Onychaster flexilis), Agarocrinus americanus) were found in Montgomery County, Indiana, in the marine deposits of the Edwardsville Formation, along the Indian Creek southwest of Crawfordsville. These marine sediments date back to the Mississippian Age (Late Osagean - 340 million years ago) when crinoids reached their peak. The Mississippian Age is also known as "The Age of Crinoids." 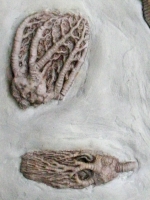 About 2,100 crinoid species are known from the fossil record with 800 species surviving today. During the Mississippian, crinoids carpeted the floors of shallow seas. Today crinoids live at great depths in the ocean. 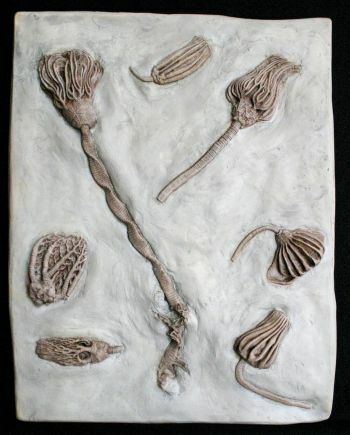 Pieces of fossilized crinoids, usually stems, are commonly found since they fall apart easily when they die. 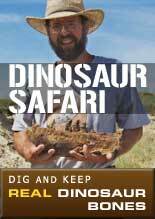 It is for this reason that complete crinoids are a rare and treasured find. The individual specimens represented by the specimens on this composite plate have been valued at $26,000.00. Complete specimens, which include the calyx, stem, and hold fast, are very rare.